In Europe, only a limited number of cross-cultural comparative field studies or meta-analyses have been focused on the dynamics through which folk plant knowledge changes over space and time, while a few studies have contributed to the understanding of how plant uses change among newcomers. Nevertheless, ethnic minority groups and/or linguistic “isles” in Southern and Eastern Europe may provide wonderful arenas for understanding the various factors that influence changes in plant uses. 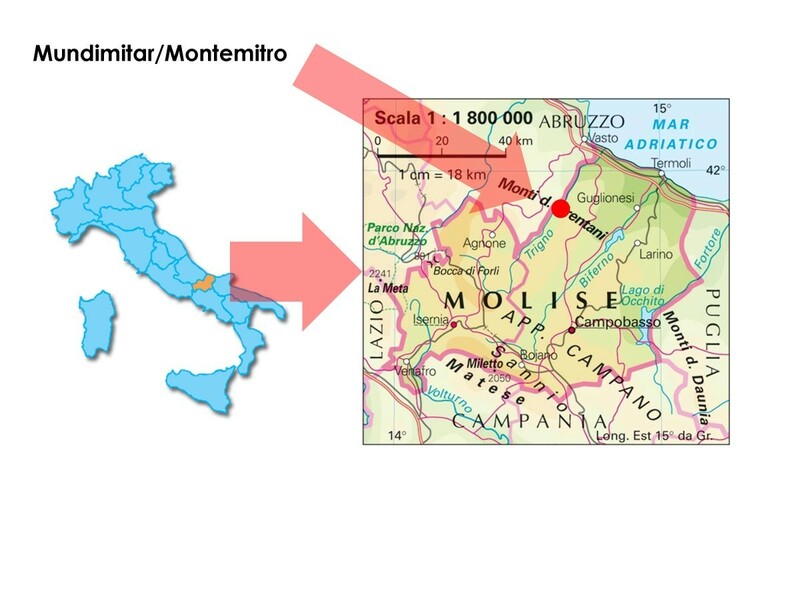 A field ethnobotanical study was carried out in Mundimitar (Montemitro in Italian), a village of approx. 450 inhabitants, located in the Molise region of South-Eastern Italy. Mundimitar is a South-Slavic community, composed of the descendants of people who migrated to the area during the first half of the 14th century, probably from the lower Neretva valley (Dalmatia and Herzegovina regions). Eighteen key informants (average age: 63.7) were selected using the snowball sampling technique and participated in in-depth interviews regarding their Traditional Knowledge (TK) of the local flora. Although TK on wild plants is eroded in Montemitro among the youngest generations, fifty-seven taxa (including two cultivated species, which were included due to their unusual uses) were quoted by the study participants. Half of the taxa have correspondence in the Croatian and Herzegovinian folk botanical nomenclature, and the other half with South-Italian folk plant names. A remarkable link to the wild vegetable uses recorded in Dalmatia is evident. A comparison of the collected data with the previous ethnobotanical data of the Molise region and of the entire Italian Peninsula pointed out a few uses that have not been recorded in Italy thus far: the culinary use of boiled black bryony (Tamus communis) shoots in sauces and also on pasta; the use of squirting cucumber ( Ecballium elaterium) juice for treating malaria in humans; the aerial parts of the elderberry tree ( Sambucus nigra) for treating erysipelas in pigs; the aerial parts of pellitory ( Parietaria judaica) in decoctions for treating haemorrhoids. The fact that half of the most salient species documented in our case study – widely available both in Molise and in Dalmatia and Herzegovina – retain a Slavic name could indicate that they may have also been used in Dalmatia and Herzegovina before the migration took place. However, given the occurrence of several South-Italian plant names and uses, also a remarkable acculturation process affected the Slavic community of Montemitro during these last centuries. Future directions of research should try to simultaneously compare current ethnobotanical knowledge of both migrated communities and their counterparts in the areas of origin. One of the most intriguing scientific questions in ethnobiology concerns the ways through which folk plant knowledge changes over space and time. In Europe, only a limited number of cross-cultural comparative field studies or meta-analyses of historical ethnobotanical literature focused on such dynamics so far [1–8], while an increasing number of studies have contributed to the understanding of how plant uses change among “newcomers” [9–17]. Ancient linguistic diasporas have instead been the focus of several field ethnobotanical surveys in Italy during the last decades. Studies on Traditional Knowledge (TK) of plant uses have thus far involved a number of ethnic minority groups within the Italian geographical region: in Northern Italy, Occitans (Provençal) [18–23], Franco-Provençal [20, 24–26] and German Walser [27–29] groups in Piedmont, Ladins [30–33], Mócheno  and Cimbrian [35, 36] Bavarians in Veneto and Trentino; Istro-Romanians in the Croatian Istria ; in Southern Italy: Albanian Arbëreshë in Lucania [38–40] and Greeks in Calabria [41, 42]; in Sardinia, Tabarkins (Ligurians) . The present study focused on the food and herbal ethnobotany of an ancient South-Slavic diaspora living in the village of Mundimitar/Montemitro, Molise Region, South-Eastern Italy. to assess the resilience and cultural adaptations of the Slavic diaspora in perceptions (naming) and uses of wild plants. Mundimitar (in Italian Muntemitro) is a small village located at 508 m.a.s.l. in the Province of Campobasso, Molise Region, Southern Italy (Figure 1). Like Acquaviva Collecroce and San Felice del Molise, Montemitro is the home to a Slavic community that migrated in the area, probably from the lower Neretva valley (Dalmatia and Herzegovina regions) during the first half of the 14th century . The village had a population of ca. 1,000 inhabitants until the 1970’s when many locals migrated to Northern Italy or abroad for employment. Nowadays, the village is composed of ca. 450 inhabitants who speak a Western Štokavian dialect (na-našo in the local language, meaning “in our language”), known by linguists as Molise Slavic or Molise Croatian. The field ethnobiological study was carried out in Mundimitar during several visits in 2009 and 2010. Eighteen key informants (average age: 63.7) were selected using snowball sampling techniques and participated in in-depth interviews regarding their TK of the local flora. The focus of the interviews was on folk food and medicinal uses of wild food plants and mushrooms. Prior informed consent (PIC) was obtained verbally before commencing each interview and the guidelines of the AISEA (Italian Association for Ethno-Anthropological Sciences)  were adhered to. Free-listing and semi-structured interview techniques were used. When available, the wild plant species cited during interviews were collected, verified by our interviewees, identified according to Pignatti’s Flora d’Italia, named according to Tutin et al.’s Flora Europaea and later deposited at the Herbarium of the University of Gastronomic Sciences in Pollenzo. Plant family names follow the recent classification (III) of the Angiosperm Phylogeny Group. The local folk plant names cited during interviews were recorded and transcribed in Serbo-Croatian (after the Yugoslav dissolved, also named BCSM – Bosnian/Bosniak-Croatian-Serbian-Montenegrin). The data collected during the field study were sorted in Microsoft® Excel. · the latter, concerning the folk plant uses, with the most comprehensive review of the Italian ethnobotany (published in 2006)  and a few additional recent ethnobotanical field studies conducted in the Molise region [52–55]. Data from the studied village concerning wild green vegetables were compared with Croatian literature concerning plants use in Dalmatia [56–59] and with personal (ŁŁ ) observations on wild vegetables sold in Dalmatian markets in 2012. Table 1 shows the local food and medicinal uses of wild vascular plants and mushrooms recorded in Montemitro. Fifty-seven species were identified by study participants. The table includes also the unusual food uses of two cultivated species (garlic and lupine). The limited number of identified fungi is attributed to the fact that most of the cited folk names did not occur during the visit in the field and could not be clearly identified. The thorny stems were used to insert into figs for drying. Boiled with wine, for treating sore throats. The aerial parts used as insect repellent. Decoction in external use for treating hemorrhoids (affected parts exposed to vapors). Shoots eaten raw as snack. Kept under the pillow for treating worms in children. Decoction, then in external washes for treating erysipelas in pigs. Fruits juice used as ink in the past. Boiled, then mixed with ricotta cheese, in filled pasta. (?) Identification was only postulated on the basis of linguistic data and plant description; +++: quoted by 7 informants or more; ++: quoted by 2 to 6 informants; +: quoted by 1 or 2 informants only. Figure 2 shows that TK on wild plants is eroded in Montemitro among the youngest generations, thus confirming trends that are the similar throughout Southern Europe and in a large part of the world. 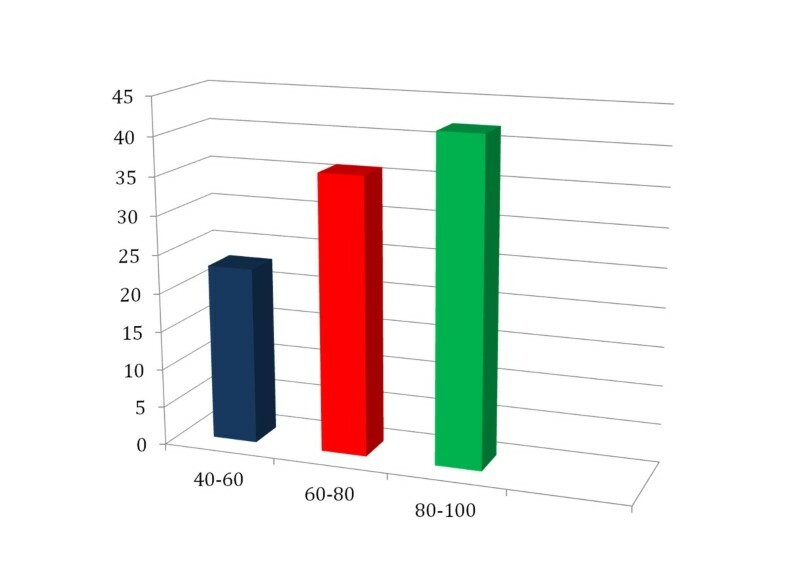 Average number of species quoted by informants by age. Table 2 shows the ethnolinguistic comparative analysis of the most quoted species during the free-listing exercise (quoted by more than 40% of the informants). Half of the taxa have correspondence in the Croatian and Herzegovinian folk botanical nomenclature, and the other half with South-Italian folk plant names. The most quoted species still retain a Slavic name and may have also been used in Dalmatia and Herzegovina before the migration took place. A similar link between linguistic cognates and cultural salience has been shown in a recent food ethnobotanical study conducted among a Greek minority in Calabria . However, this analysis may only express a reasonable probability of the original permanence of plant uses into a new environmental and cultural space, but it cannot be excluded that migrant groups may have acquired new practices of use of previously known plants from the autochthonous population, thus resulting in naming plants with the original language and using them in a very different way from the original one. On the other hand, the fact that in our case study half of the most salient species – widely available both in Molise and in Dalmatia and Herzegovina-- have South-Italian folk names demonstrates a strong acculturation process that has affected the Slavic community of Montemitro during these last centuries. the use of decoctions of pellitory (Parietaria judaica) for treating haemorrhoids. Specific ethnobotanical surveys conducted in Dalmatia and Herzegovina are missing in the literature, thus making it very difficult to draft a comprehensive comparison on plant uses. However, a food use of black bryony shoots, which is very common in Mundimitar, seems to be nowadays also common in the Istrian cuisine in Croatia  as well in Dalmatia, where it is commonly sold in markets (ŁŁ personal observation, 2012), while in Molise and Abruzzo its food use is considered obsolete. The wild vegetable mix called mišanca (Zadar-Split) /pazija (Dubrovnik) , sold in every market of the Dalmatian coast (surveyed in March 2012, Łuczaj unpubl.) contains many of the plants used in the study area. For example Sonchus spp., Foeniculum vulgare, Papaver rhoeas, Picris echioides, and to a much lesser extent Eryngium sp. are used as food in Dalmatia nowadays (Table 3). However the existence of this concept of vegetable mix was not recorded in the study area. Strikingly, the data from the study area contain relatively few Asteraceae species, nowadays widely used in Dalmatia under the name radič or žutenica (e.g. Taraxacum spp. , Crepis spp.) and a few other related genera). It must be kept in mind that Dalmatia was under a strong Greek, Roman and Venetian influence, and that the practice of using a variety of wild vegetables in Dalmatia may have a non-Slavic origin. Thus it may be that some of the uses brought by the Slavic emigrants to Italy are actually re-imports of Venetian or Latin customs. B – Bakić and Popović (in this study it is unclear if the data is about eating green parts or underground organs) , G – Grlić , C – Ćurčić , S- Sardelić , L – most commonly sold wild greens in Dalmatian markets in 2012 in the form of a vegetable mix (Łuczaj, unpublished); M – sold commonly in Dalmatian markets in 2012 as separate bunches (Łuczaj, unpublished). It is worth pointing out that nowadays in Dalmatia wild vegetables are mainly boiled, strained and seasoned with olive oil whereas the described uses in the study area often refer to frying, which may be reflective of a more recent acquisition of Italian cooking practices. The food use of mercury (Mercurialis annua) leaves in soups has instead been recorded only one other time in Italy, in two studies conducted in North-Western Tuscany in the Lucca area [61, 62]. This study demonstrates that even within ancient diasporas, as in the Slavic community of Mundimitar, which still exists in Italy after more than five centuries since it was founded, it is possible to find traces of resilience of original TK regarding plants. A few uses of most quoted plants, which are still named in the original language, may have originated in the migrants’ areas of origin (Dalmatia and Herzegovina). However, TK is the result of dynamic processes and the case study that we have analysed here also demonstrates a high degree of adaptation, which is shown in both the folk botanical nomenclature (half of the most quoted botanical taxa are named in South-Italian) and in the actual plant folk uses too (very few uses do not correspond with the Italian ethnobotany). These considerations show that, in contrast with analogous studies conducted on the ethnobotany of recent migrants/newcomer’ groups, TK about plants within ancient diasporas is a very complex, and not well understood, phenomenon. Special thanks are due to all the inhabitants of Mundimitar/Montemitro, for their warm hospitality and for sharing their knowledge with the authors, who collected the data in the field (AdT and AP). We would also like to thank to Prof. Marijana Zovko- Končić for helping in the literature search. This article is dedicated to the unforgettable Dorina Giorgetta, our “key” informant in Mundimitar, who unexpectedly passed away, while we were analysing the findings of the field work. AdT and AP conceived the study and conducted the field study; AP, ŁŁ, SR, and CLQ performed the data analysis and drafted the discussion. All authors read and approved the final manuscript.